This chapter explores student teachers' performance and perceptions of a flipped classroom pedagogy vs. a lecture method in a teacher education course at an open distance learning university. The study used an explanatory mixed methods design, employed a pre-test and post-test online survey, and economics blog postings to collect data for the study. Only Post Graduate Certificate of Education (PGCE) and Bachelor of Education (BEd: senior and further education and training phase) student teachers (n=371) were purposively selected. It is reported that the flipped classroom pedagogy group outperformed the lecture group in the final examination scores. Furthermore, the flipped classroom pedagogy encouraged an engaging atmosphere and accelerates a collaborative interactive synergy among student teachers. Finally, the findings revealed that the role of the teacher in the flipped classroom pedagogy design is crucial, promoting optimal learning experiences for student teachers in the course. Findings could not be generalized because this study employed only a small sample, but further investigation is needed to compare similar teacher education courses. The Higher education sector, in particular teacher education programmes, have started rethinking curricula over the past five years by employing more teaching-integrated technologies into pedagogy. Their objective has been to change the traditional pedagogies employed by lecturers, either in contact (residential) or in online classrooms, to accommodate and include digital natives in the learning process. In line with the reimaging of this thinking, Bergman and Sams, subject teachers of chemistry at a Colorado High school started experimenting with the “inverted class” to support their learners who often missed classes. In 2002, Bergman and Sams as many other teachers were worried about frequent in-class time loss of sports and other cultural activities interfering in student learning. These two teachers reimaging the design of in-class time and started experiments with videos and other supportive materials downloaded from YouTube to support students in out-of-class time. They created an out-of-class teaching paradigm, flipping classroom, for their students to watch, read and reflect anytime and anywhere at their own pace. In view of the popularity of this teaching approach, Bergman and Sams (2012, p.19) wrote a seminal text, Flip Your Classroom. The current debate at universities is whether to include technology-integrated student-centered teaching strategies in the learning programmes, like the Flipped Classroom Pedagogy, ePortfolios and Web 2.0 technologies to support students towards self-directed (Jones 2010; Robichaux & Guarino 2012). 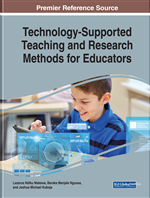 The current debate at colleges of teacher education – about introducing and redesigning learning programmes by including Flipped Classroom Pedagogy – emerged in 2007 as a technology-integrated teaching strategy used as a means of supporting students as part of an open distance learning approach (Bates, 2010; Albert & Beatty,2014). To ensure that teacher education programmes are appropriate, academics have been exposed to the Flipped Classroom Pedagogy approach as a recent phenomenon employed to support students’ learning (Wasserman, Quint, Norris & Carr, 2017). Furthermore, this Flipped Classroom Pedagogy is imperative to enhancing student teachers learning and it accommodates their academic expectations – in particular, their aspirations to become qualified teachers (Critz & Knight, 2013; Strayer, 2012). After extensive literature reviews on research studies conducted on FCP as a teaching strategy, it was found that most studies conducted were either in contact or in a blended learning mode but to a lesser extent through an open distance-learning (ODL) environment. After engaging critically in more than sixty-eight (68) articles and twelve (12) scholarly books on FCP as a pedagogical tool across subjects and students performances, the researcher could not found sufficient evidence of this strategy used in an online environment. This prompted the researcher to explore the FCP as instructional approach whether it will yield sufficient evidence for an ODL online context. The researcher realizes that there is a need to advance the “knowledge gap pertaining to the practical side of this phenomenon” that must be explored because of a plethora studies were done in contact sessions but to lesser existed for blended learning and open distance learning contexts. RQ1: How does the flipped classroom pedagogy compare to the lecture method impact on student learning in the Economics course? RQ2: Are there any differences between the groups pertaining to the semester test and the final examination paper in the Economics course? RQ3: How do Economics students’ teachers experience the use of Flipped Classroom Pedagogy throughout the course? Flipped Classroom Pedagogy: A student-centeredness teaching approach that uses a blended learning or an online environment context that reverses the traditional learning environment by delivering instructional content, online, outside of the classroom. The student can access and study the learning material online or offline at anytime, anywhere and at own paste. Self-Regulated Learning (SRL): Psychological learning process regulated by the student as an independent and responsible learner takes control of his/her actions. This can only happen when the student shows autonomy and self-control of the learning process through metacognition, strategic action, and motivation to learn towards self-regulation. For example, self-regulated learners are cognizant of their academic strengths and weaknesses, and they have a repertoire of strategies they appropriately apply to tackle the day-to-day challenges of academic tasks. Pre-Test–Post-Test Design: A quantitative non-experimental research design using a treatment group for the intervention strategy and exclude the control group. The invention is measured by comparing the performance of the one group (experimental group) versus the other (control group) in the non-experimental design. Lecture Instruction: Is associated with teacher centeredness approaches such question-and-answer method, lecturing methods, demonstration and large class method to mention only a few. This instruction approach is an instructional approach that is structured, sequenced, and led by teachers, directing the teaching and learning process for students to achieve a specific learning outcome. Contemporary Economics Issues: One of the major themes of the economics school curriculum for grades 10 to 12, focus on poverty, unemployment, and inflation as prescribed in the National Curriculum and Assessment Statement Policy (CAPS) for Economics in the South African context. Open Distance Learning (ODL): An online distance-learning portal whereby a physical distance between the student, lecturer, and the university exist. This distance of learning happens through an online platform, myUnisa, is accessible through an internet connection. Students study on their own and take responsibility for their learning but support services for students through study guides, tutorial letters and other information mostly in digital format.